In real power system, the system may be subjected to operate in different network topologies due to single line outage contingencies, network reconfiguration and maintenance. These changes in the network would lead to operational inconsistency of directional overcurrent relays. To overcome this problem, a set of new coordination constraints corresponding to each network topology needs to be formulated. Directional Overcurrent Relays (ODCRs) problem can be formulated as a nonlinear optimization problem and also in addition to nonlinearity, the optimization problem encounter a large number of coordination constraints. This paper presents a modified Differential Evolution (DE) algorithm to handle such type of Optimal Directional Overcurrent Relays problem. Modified DE computes the optimal time dial setting and pickup current setting in terms of discrete values which collectively minimize the total operating time of the relays. 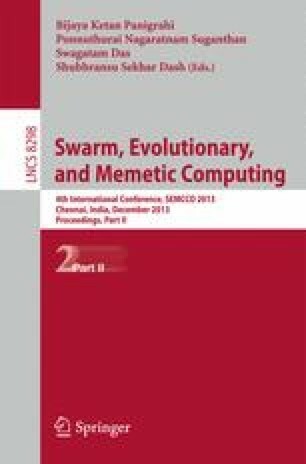 To verify the performance of the proposed method, similar evolutionary computation methods such as the Genetic Algorithm (GA) approaches are also implemented using the same database. The proposed method has been verified on 8-bus test system. The results indicate that the proposed method can obtain better results than the method compared in terms of total operating time and convergence performance for both fixed and changed network topologies.